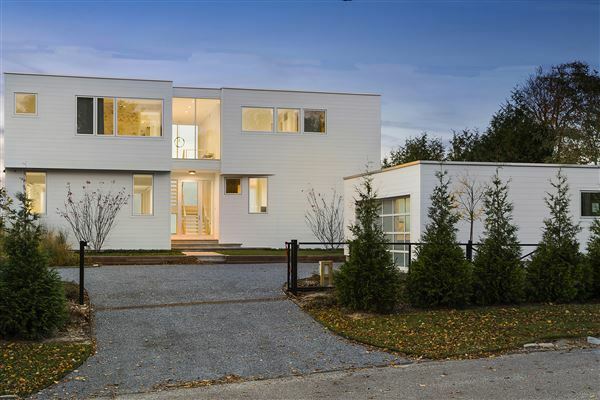 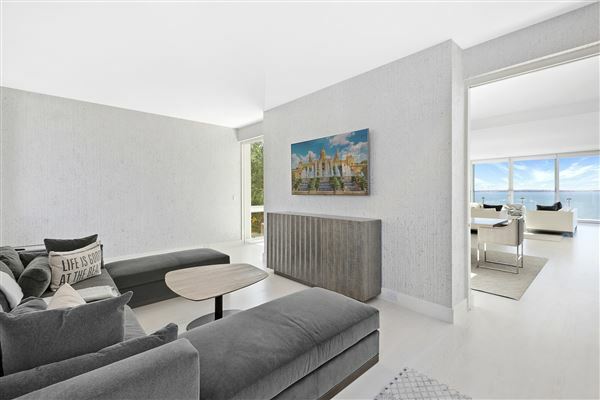 Ultra-Modern Home on Noyack Bay, 31 Clearview Drive, Sag Harbor, NY. 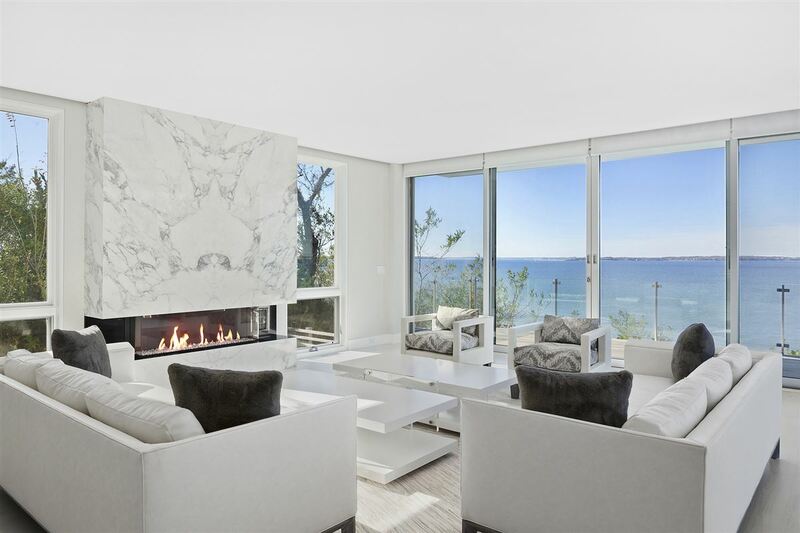 This is an ultra-modern seven bedroom, 7.5 bath three level home built to embrace the dramatic views and deep violet sunsets over Noyack Bay on one of the highest points in Southampton Township. 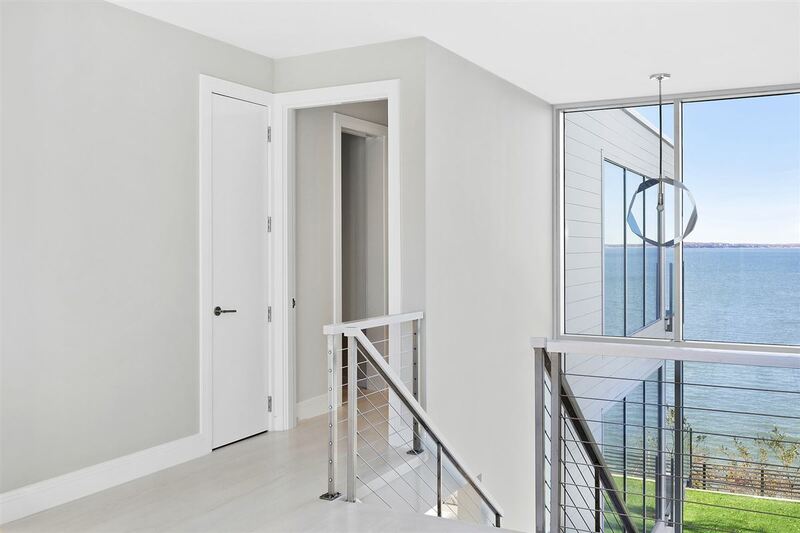 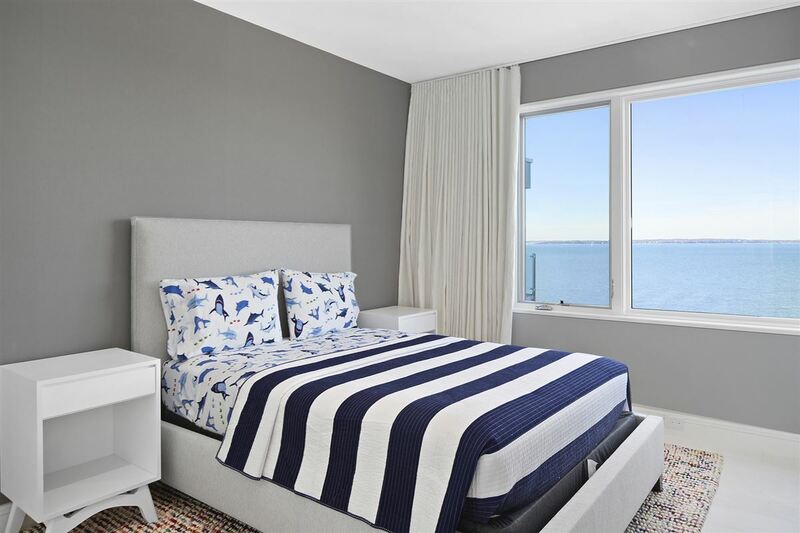 You are surrounded by mesmerizing bay views through floor to ceiling windows in almost every room, overlooking Robins Island, Southold and Shelter Island. On the main floor, entertain lavishly in a large living room built for elegant parties with glass walls and dazzling water views. 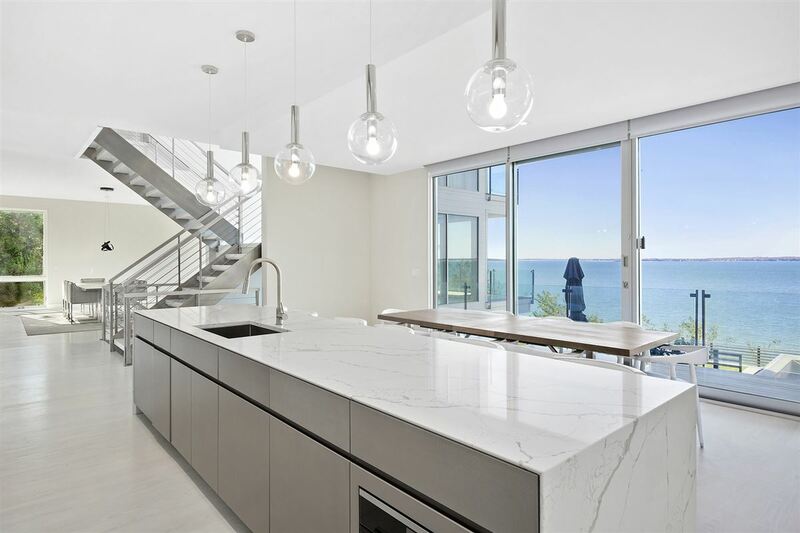 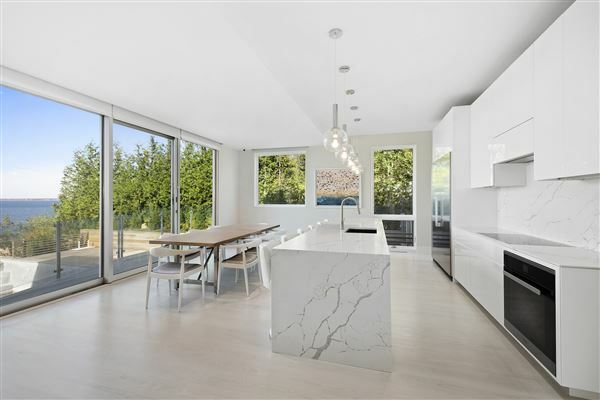 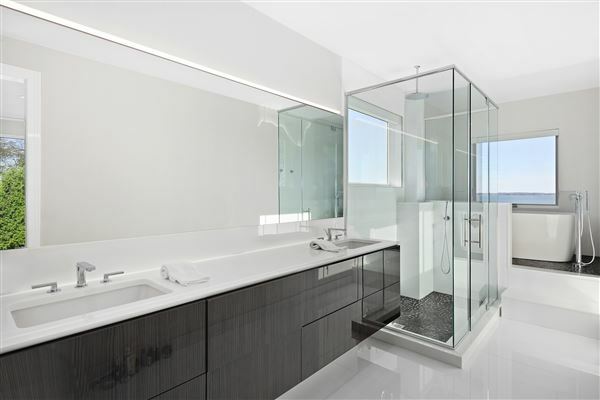 A large, open, chef's eat-in kitchen, also with views over the bay has bespoke, ultra-modern cabinetry with buffed white gloss finishes and quartz Calacatta countertops. 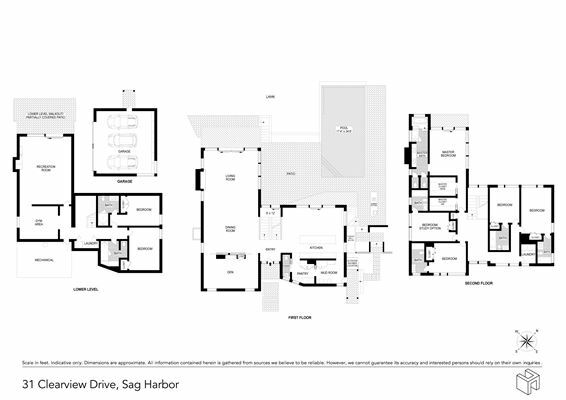 The second level of the home has 5 well-proportioned bedrooms, each with its own private en-suite bathroom. 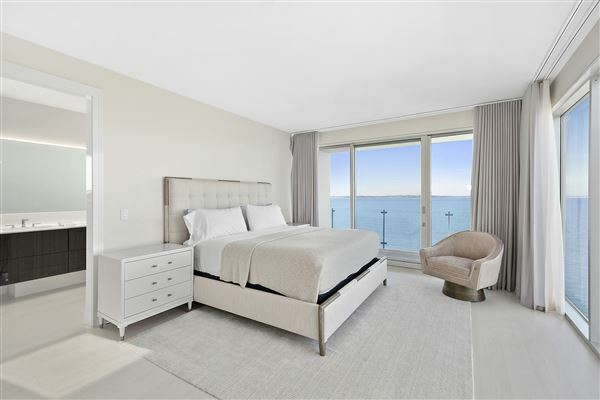 Extend your breakfast in bed to the private terrace adjacent to the master bedroom that overlooks a huge expanse of water. 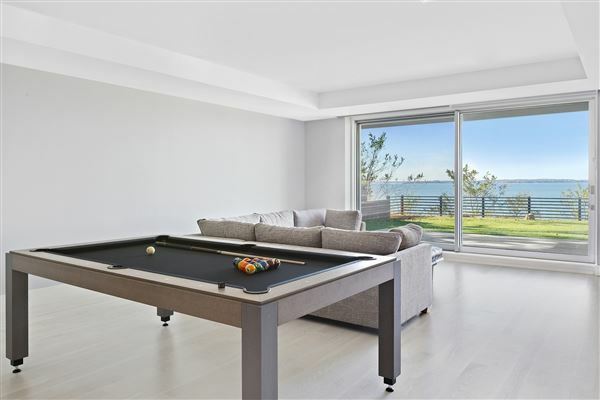 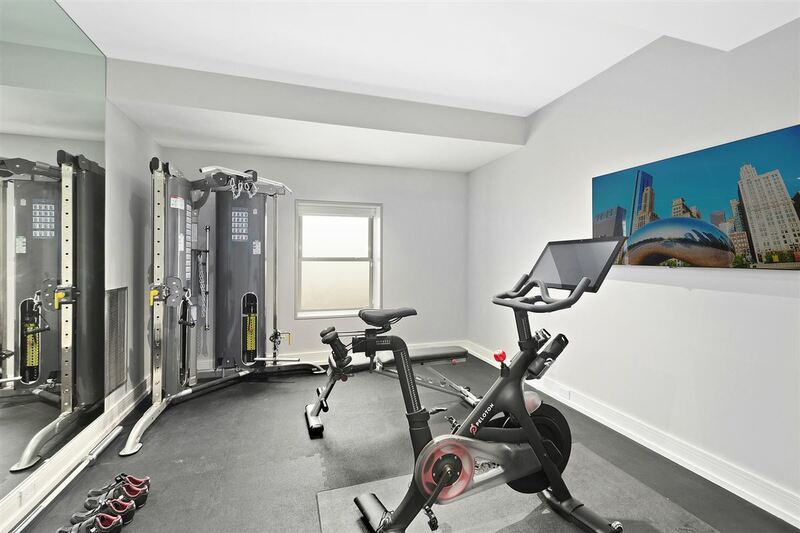 The lower level opens to a landscaped garden and has two additional bedrooms, a gym and a playroom. 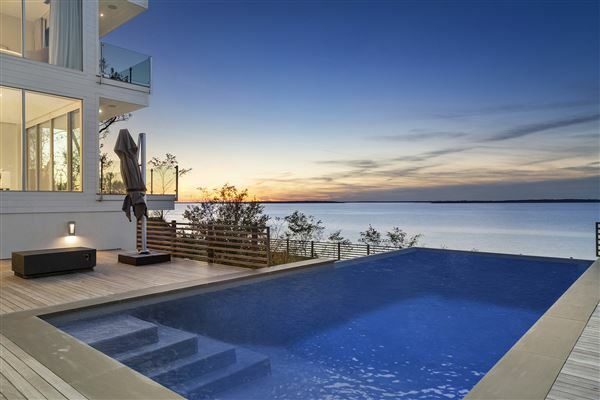 Multiple outdoor decks with an outdoor shower for pool goers and an outdoor kitchen all overlooking the bay make outdoor entertainment and grilling a true pleasure in the summer. A salt water, double vanishing-edge infinity pool overlooking the bay entices you to luxuriate. 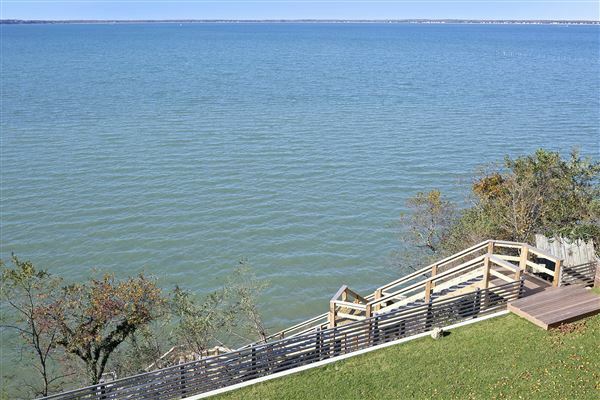 An observation platform and stairs carry you down to the water's edge and your very own private beach. A separate two-car garage with tempered frosted glass doors and a high voltage charging port for electric or hybrid vehicles is linked to the house through a short walkway and mudroom. 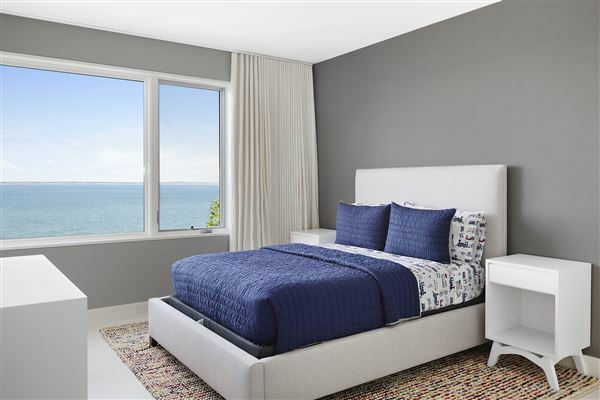 The home also includes 4 zones of heat and air conditioning, solar panels that cater to all your electricity needs on most days, a smart home system that controls electronic shades, lights and much more. Noyack Bay is relatively protected, making swimming and water sports a pleasure. 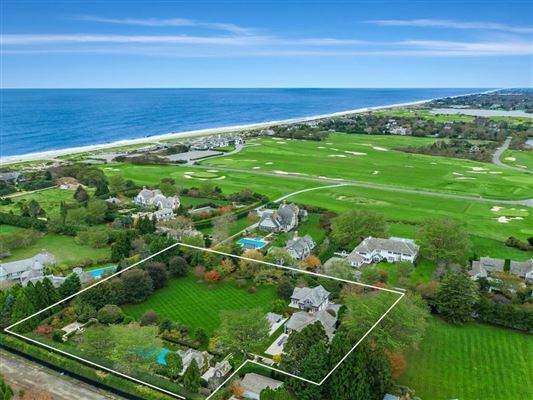 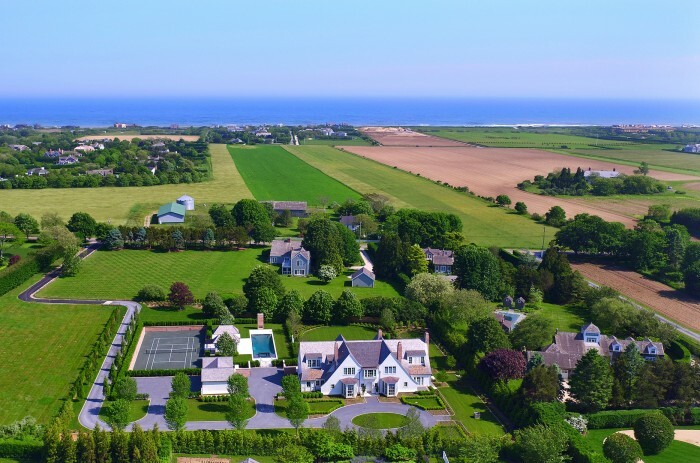 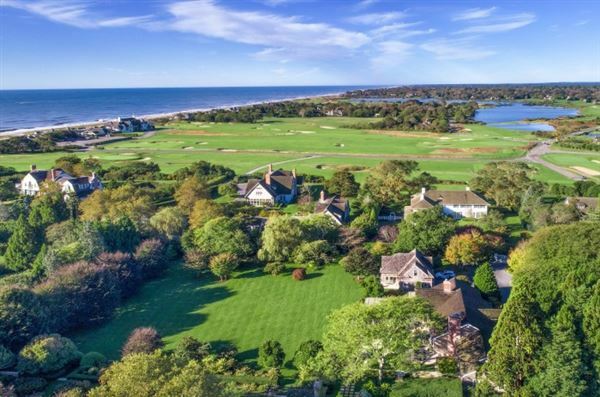 The house is located mid-way between Water Mill/Bridgehampton and Sag Harbor and is in the proximity of several golf courses. 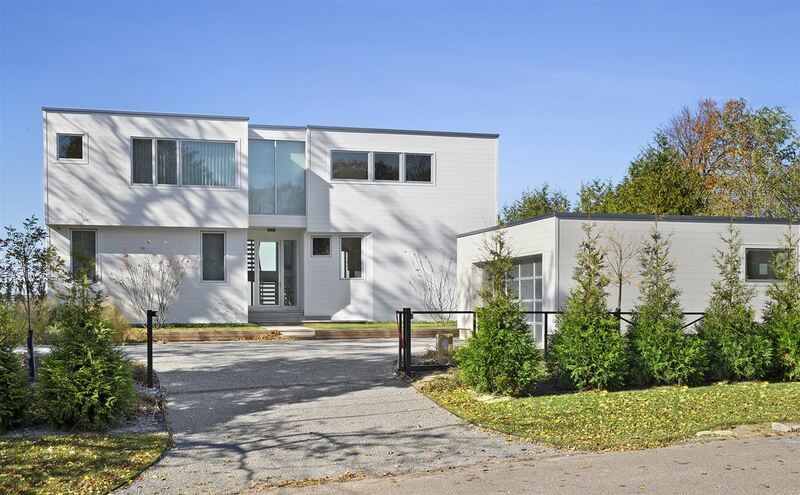 Call today for a private viewing of this exceptional property.